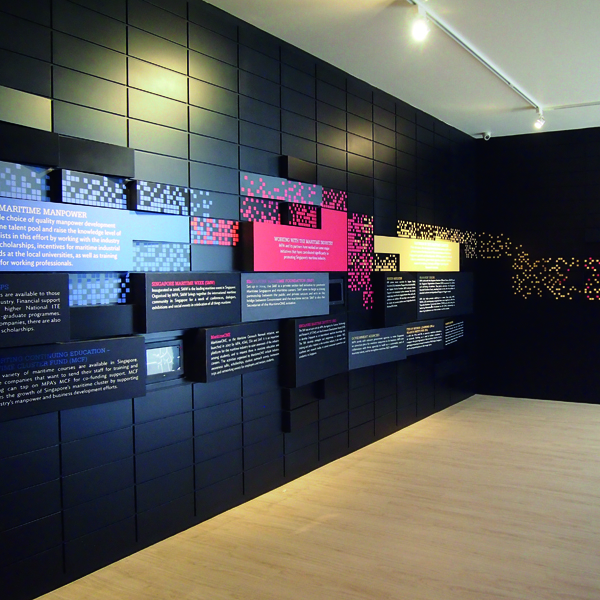 The exhibition design employed the colours red, white and blue, symbolising the island of Singapore standing tall in the surrounding waters. 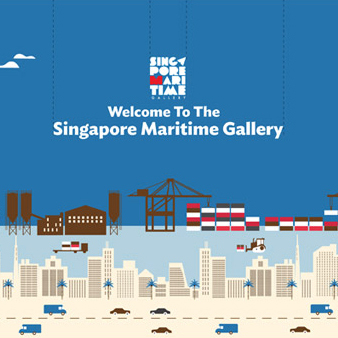 The exhibition at the Maritime Port Authority Gallery was a celebration of the development of Singapore as a port as well as a constantly growing nation. The exhibition design employed the colours red, white and blue, symbolising the island of Singapore standing tall in the surrounding waters. 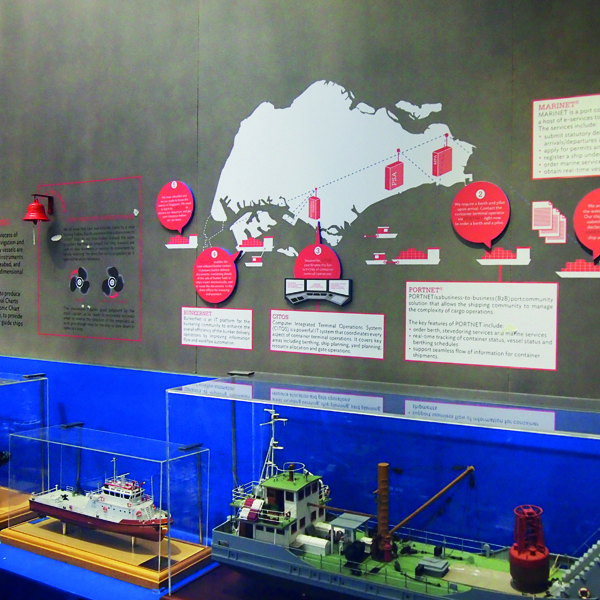 Infographics explaining the positions in the industry, images from the olden times and interesting artefacts covered the entire space engaging the audience in a knowledgeable conversation and making the shipping industry more accessible to the general public.